HARLINGEN, Texas – Low-fare carrier Frontier Airlines is celebrating the start of service from Valley International Airport (HRL) with the only nonstop flights to Denver International Airport (DEN) and Chicago O’Hare International Airport (ORD). Additional connections will be available to select cities across Frontier’s network. Officials will mark the day with a party at the Frontier gate. 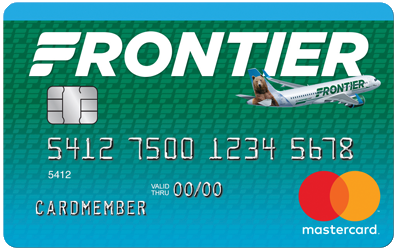 To celebrate the start of this new, low-cost service, Frontier is offering fares as low as $49, which are available now at FlyFrontier.com. Depart HRL: 10:52 a.m. Arrive DEN: 12:49 p.m. Depart DEN: 6:15 a.m. Arrive HRL: 10:05 a.m. Depart HRL: 5:52 p.m. Arrive ORD: 9:06 p.m. Depart ORD: 1:41 p.m. Arrive HRL: 5:02 p.m.
Frontier wants its customers to have more options when they fly and there is no fee for reservation changes made 90 days or more from the travel date. Yes, that means no change fee. If you need to make a change between 89 and 14 days from departure the new, reduced fee is only $49. Changes made 13 days or less from travel will be at the normal cost of $99. When making a change, customers just pay any increase in fare that applies. Frontier flies one of the youngest fleets in the industry, with 80 jet aircraft from the Airbus A320 Family. With nearly 200 new planes on order, Frontier will continue to grow to deliver on the mission of providing affordable travel across America. Frontier’s young fleet also ensures that the company will continue to keep fares low and that customers will enjoy a pleasant and reliable experience flying with the airline.